The NMFMA has begun working on a new column with our partners at Edible Santa Fe! 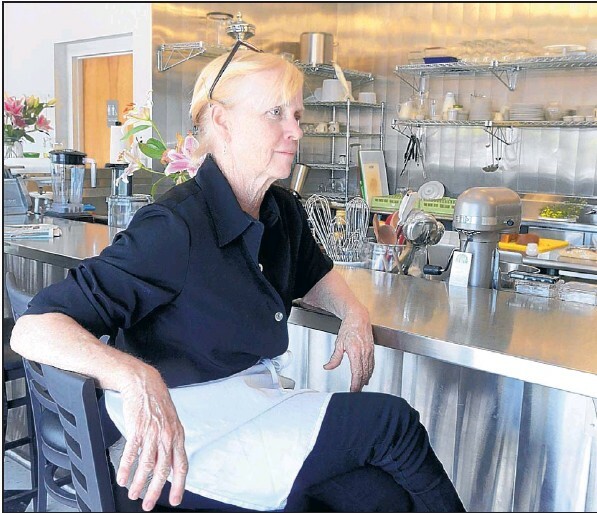 We’ll be bringing you cooking tips for local ingredients by some of New Mexico’s own chefs. 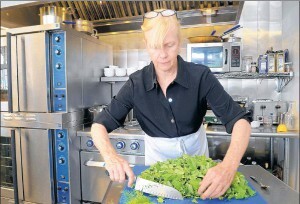 Sarah Hartford chops broccolini in the kitchen of her restaurant, Hartford Square. Though not a fan of broccoli, Hartford likes to use broccolini. “It has a much more complex flavor than broccoli. Hartford’s hopes her supply of broccolini will continue through midMay. In fall it will make another appearance. Like other brassicas, broccolini doesn’t like when it gets too hot outside.